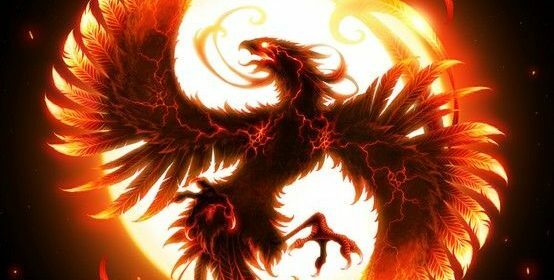 The phoenix is a mythical bird that is associated with magic and alchemy, and higher knowledge and life through the philosopher’s stone. The symbolic mythology generally goes along the storyline of resurrection, rebirth or renewal through the purification of death, usually through fire. This is the central goal of alchemical symbolism, whether using the 3, 4 or 7 phase symbolism. 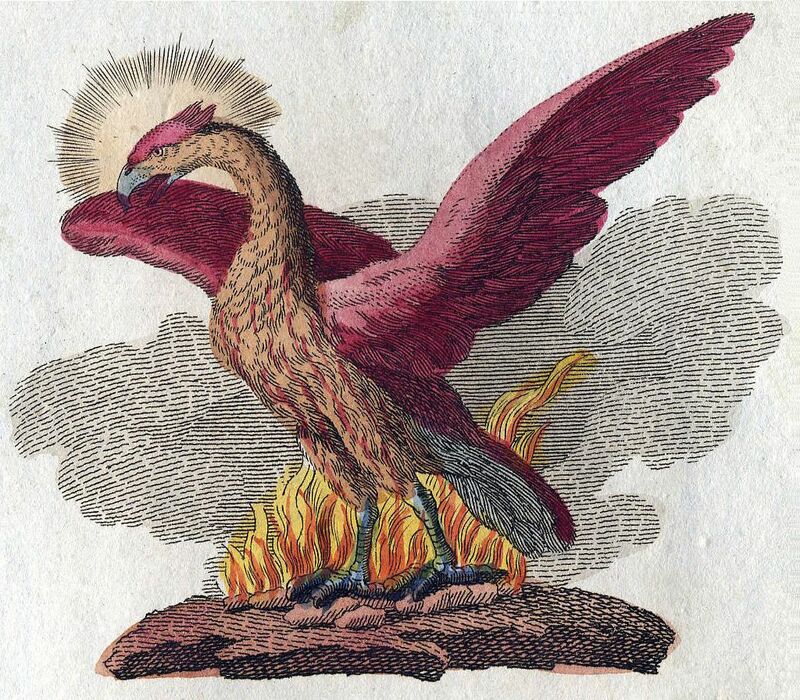 The phoenix is a red, purple, gold and yellow mix in various mythologies. It either dies in an egg or in the cleansing fire of renewal where it’s reborn from its ashes. 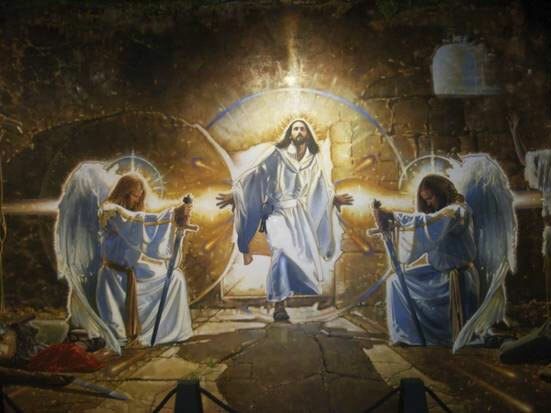 The resurrection, rebirth and renewal is symbolism that has been used in the ancient narratives of many cultures. There is a dichotomy between forces of good and evil, where a hero savior dies in a battle with a villain, and then is later resurrected. The evil can be symbolized through shadows, demons, hell or the underworld. We have the care and courage to face the mirror of ourselves and reality honestly. We see and accept the beauty and the horror, truth and falsity, right and wrong, moral and immoral, good and evil. We choose the beauty, truth, right, moral and good. To embrace, embody and live it, we must put to death, destroy, shatter, transmute or sublimate the shadow, darkness, demon, wrong, evil or immorality within us. Once a part of ourselves dies, once we die a little inside by putting to death the falsity we held onto within us, then we can be reborn again. Rebirthed and resurrected as a new version of ourselves that has put the falsity to the fire. The fire is a symbol of cleansing and purification. By going through the turbulence of the fires of tribulation, the friction and heat of battling our inner demons has purified us. We are remade into stronger, better, more pure versions of ourselves. From falser, lower, unrealer versions of our potential more in alignment with falsity, towards truer, higher and realer potential version of ourselves in greater alignment with existence, reality, truth and specifically moral truth. Many cultures viewed death as a rising ascension towards the heavens in the sky above. The sun was a symbol of life giving power energy on earth, as it actually does this. The sun is born every morning in the East, and dies every night in the West. Birds rise into the sky. The goose and other birds have been used in cultures to symoblize death ascension beliefs. The mother goose and other mother symbolism also represents the womb of birth, the darkness from which we came. The birds symbolize going into the female womb of the dark night sky to be reborn again in an “afterlife” or “reincarnated” as a soul after coming back from the Milky Way. 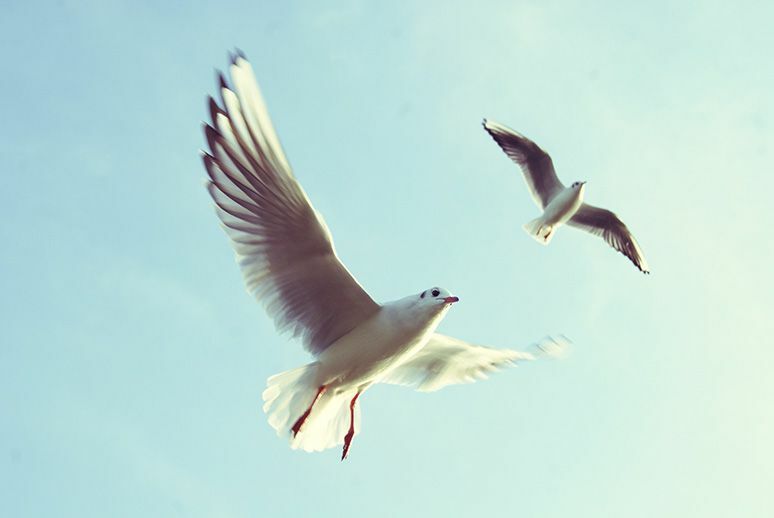 Birds rise high, into the sky, up above where the bright sun of life lives. They rise to heaven, where the sun god Ra/Re is, the sun/son and light of the world, the savior, the truth. The sun, sky and bird symbolism is about higher living achieved through higher consciousness. Brightness and highness symbolizes both the sun and consciousness. 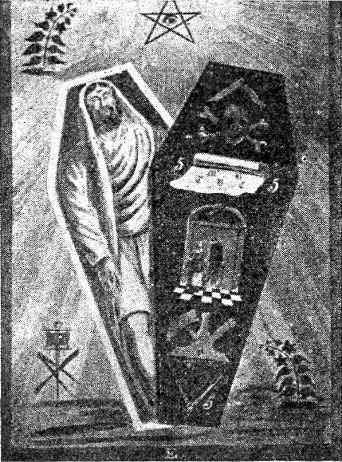 The death and rebirth symbolism is the same, just as the sun dies and is reborn continually in a perpetual self-renewal process. 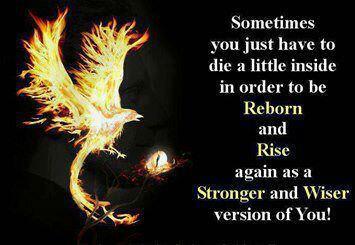 We can soar higher than our former selves and renew ourselves as well, like the phoenix. We can aspire towards a better way, a paradise, an afterlife of a new life to live in a new world, a heaven on earth. We need to unite knowledge of right and wrong, good and evil, truth and falsity, to understand them both and be in a wise position to choose a path and way of living life. Duality symbolizes this in deeper esoteric symbolism about life. The dual wings of birds symbolizes this (as well as other symbolism). This relates to the yin yang as well. There is both light and dark, beauty and horror, good and evil that can manifest in life. Freedom requires eternal vigilance. To be steeled and prepared for battle with the falsity, shadow, demon, evil, etc., we must be aware of it. Ignorance is bliss and goes nowhere. Care for Truth is required to engage in seeking, accepting, embracing and embodying more truth into our lives. Overall, apathy for truth is to be and remain “unconscious”, “dead”, “asleep”, “sheep”, unawakened and uninitiated. We are “dead” in the coffin or tomb, unconscious to Moral Truth and it’s importance in life, unawakened, asleep. We lack care, not living in greater Care for Moral Truth, so it symbolizes a “deadened” “heart” center, a “deadened” core, “essence”, “spirit” and consciousness. When someone is literally dead, there is no consciousness or action in life, hence the symbolism of being “unconscious”. When someone is asleep, not awake, they are also unconscious an inactive. It’s to be unconscious and inactive relative to being consciously aware of the importance of caring for truth and acting in alignment with truth. Analogy, metaphor and symbolism is used to expressed this understanding of unrealized and unactualized potential to care for, seek, embrace, embody and live up to the Moral Truth as a truer, realer, higher version of ourselves. When we choose to Care for Truth, and specifically Moral Truth, we develop a higher consciousness. We become “initiated”, “awake” and aware, where we are “resurrected”, “rebirthed” and “raised” from the “deadened” lower state of consciousness. We rise to a higher, truer and realer consciousness, and are now “alive”, into a “new life”, a “New World”, an “afterlife”, “eternal life” and “immortal life” that is given to us by the “light” of truth in our lives, the divine “Word” of “God”, the Logos, the Good. The underworld is the previously unknown darkness and shadow within us, where we face our demons in the darkness, and we need to use the light of truth to battle these dark forces and put them to death. Then we gain life, are resurrected and rebirthed, regenerated and recreated anew, and reach an after-life/heaven of a new world of being. This is the hero’s journey to the underworld, facing ourselves in the mirror, where we are our own worst enemies, we are our own adversaries, our own opposers, that we finally have the care, courage and willpower to conquer and destroy. I already mentioned yin and yang, but there is also the symbolism of the oroboros dragon/snake that directly references self-renewal and resurrection. 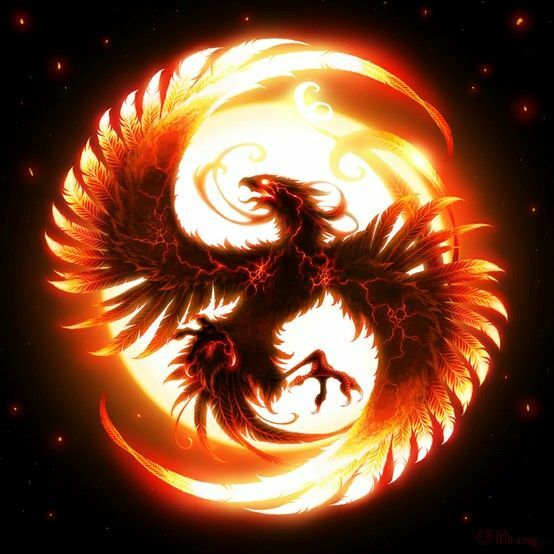 The phoenix, dragon and snake symbolism is heavily linked. I have already talked about Osiris, the lord of life and death, and the symbolism that has with the underworld, and weighing ourselves against the feather of maat/truth in order to put ourselves to death and be reborn into an immortalized afterlife new world we can potentially create. The end is only the beginning, symbolically. To begin anew “life”, a new way, an “afterlife”, a paradise in a heaven instead of a hell, we must put to death and end something old to create something new. Be a phoenix. Use the purification and cleansing fires to put to death the falsity, wrong, darkness, demon, shadow, immorality and evil within yourself. Share this ancient understanding and process of continual self-renewal with others so that we can all change individually, and change the world collectively. We are all in this together. I find it interesting that you wrote, “…to be reborn again in an “afterlife” or “reincarnated” as a soul after coming back from the Milky Way.” Where did you translate afterlife and reincarnated to mean the same thing? I find that an enlightening correlation. I was looking into the possibility that reincarnation as people think it is, may not be that – reborn into another physical life. I noticed what was said in the bible, “Very truly I tell you, no one can see the kingdom of God unless they are born again.” (in the afterlife?) or “Very truly I tell you, no one can enter the kingdom of God unless they are born of water and the Spirit.” (water meaning physical birth from womb, spirit meaning after death into the spirit form). Swedenborg mentions that we do not reincarnate into another physical reality, but grow in spirit. So this quote from you got me thinking that maybe people have used the word “reincarnate” wrongly. Please clarify for me the meaning of the word and where it came from. Any understanding will help. It’s all symbolism ,that people imagine as reality, when it isn’t. Take the literal meaning and you can;t demonstrate the reality. It’s a belief. Take the symbolic meaning and you can actually see it in reality. Imagery and mythopeotic language symbolism is tricky. This is what gives language it’s depth, color and impact on our consciousness. Even depth and color are symbols. Language doesn’t have a measurement, or color… but I can describe things in relation to other things to evoke imagery in consciousness and bring more colorful/images to understand it “poetically”. Afterlife, eternal life, immortal life, all goes back to the symbolism of being reborn a new, from being dead, in a coffin, tomb, unaware, unawakened, uncaring, then resurrected into a truer, realer, higher life (afterlife, eternal, etc). Read the links in the article that are linked to. Two of them, Care for Truth, Maat, explain this more.